If you've ever seen a production of Into the Woods, the 1986 Stephen Sondheim musical that brings — or violently smashes —together the fairy tale classics, then you probably came away with the understanding that "happily ever after" isn't all it's cracked up to be. Get what you've spent your whole life wishing for and what comes next is often a disappointment. It's true for Cinderella and Prince Charming. It's true for Into the Woods fans and the Into the Woods movie that's slowly being ruined by Disney. Disney's original announcement that they were turning Into the Woods into a studio picture starring Meryl Streep and (seasoned Sondheim-ruiner) Johnny Depp was met with skepticism or — from some — outright hostility (hi! 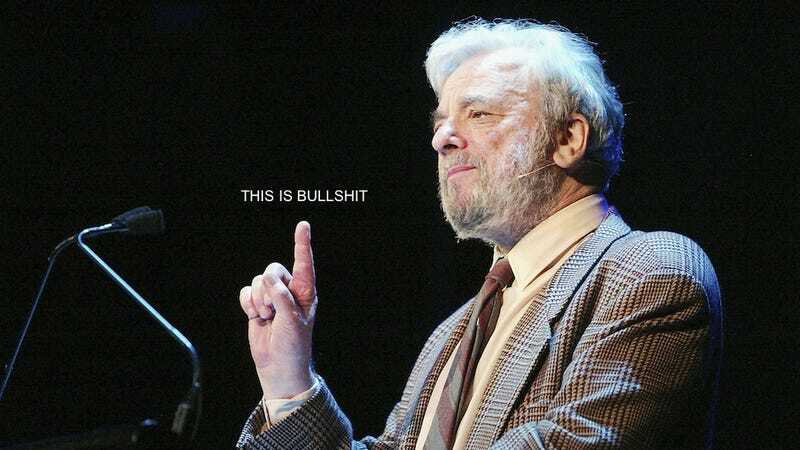 ), but while it's a little silly to get fussy over a suspicion that Disney might be ruining one of your favorite musicals, it's understandable to get upset when you KNOW that they're ruining one of your favorite musicals, a fact that Stephen Sondheim recently confirmed himself. "You will find in the movie that Rapunzel does not get killed, and the prince does not sleep with the [Baker's Wife]," Sondheim said (as reported by the New Yorker). People who know the musical will remember that both Rapunzel's death (she gets crushed by the Giantess) and the Baker's Wife's affair with the prince (Cinderella's prince, no less) are major turning points in the show. Another important plot point that was hinted at being cut: Little Red Riding Hood's sexual awakening — though how they plan on desexualizing "Hello Little Girl" and "I Know Things Now" (with all its hymen analogies), I'm not sure. This news might leave some fearing for the fate of their favorite songs and with good reason. When asked if "Any Moment," the song sung by the Baker's Wife and prince in the lead up to their dalliance, would not be in the movie, Sondheim — to the dismay of his audience — responded, "The song is cut. I'm sorry, I should say, it's probably cut." While "Any Moment" is the only number that Sondheim confirmed was (probably) missing from the film, it's hard to imagine how they'll rework the other songs that are set up by the show's many tragedies. For example, it's "Any Moment" that leads the Baker's Wife to the profound realization of "Moments in the Woods" (my personal favorite) and it's Rapunzel's death that motivates the furious showstopper "Witch's Lament." And it's not only these songs that are set up by horribly depressing and tragic events. The entire show is set up by horribly depressing and tragic events. That's the point. Take them away and you take away the musical's bite — which is what Disney is good at. "You have to explain to them that censorship is part of our puritanical ethics, and it's something that they're going to have to deal with. There has to be a point at which you don't compromise anymore, but that may mean that you won't get anyone to sell your painting or perform your musical. You have to deal with reality." No matter what you say, children won't listen.